Paul Patsuris was talking with his family on Friday, and said “Come on, let’s take ‘er to Alex. If we don’t, we’ll just be spending another weekend working on the farm.” Well what a magnificent decision. 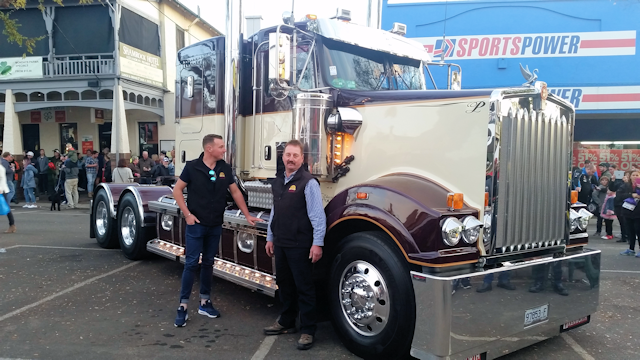 Their beautifully presented 2016 Kenworth T909, shortly after being awarded the 2017 Telstra People’s Choice award winner, was crowned the 2017 Best Truck of the Alexandra Truck, Ute & Rod Show. Congratulations to Paul Patsuris and family, for a true Primary Producer plated working farm truck entry that none of us will soon forget.